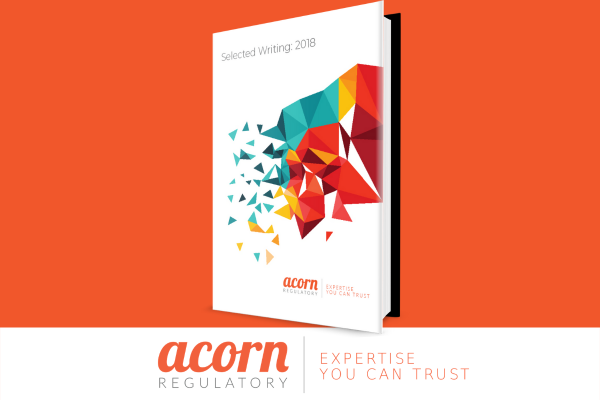 Selected Writing also contains an overview of what has been happening at Acorn Regulatory in the past twelve months. You can download ‘Selected Writing: 2018’ by completing your details below. This e-book contains innovative and informative writing on regulatory issues. Our team regularly write informed articles on issues relating to regulatory affairs, pharmacovigilance, quality compliance and more on our regular blogs and in our series of e-books.